You're really amazing. But this issue is just..Really annoying for absolutely everyone and It's in all versions. THE TEXTURE OF A 3D JSON MODEL. Mcreator apply in their Json Model file only 1 texture on everything. 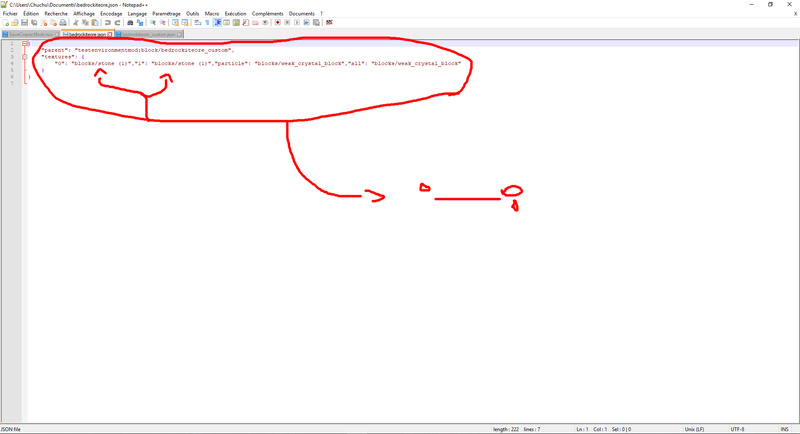 And the only way to fix that is to edit the Json file of the model in Pylo directory of your workspace. Problem is that this fix reset to 0 when you edit the element. It's really annoying for everyone using lot of 3D Models and that issue is very old. Could you please attach your JSON model so I can try to reproduce this bug? Thanks! Simply create a model with two different textures and you can test. But here's a very simply one. 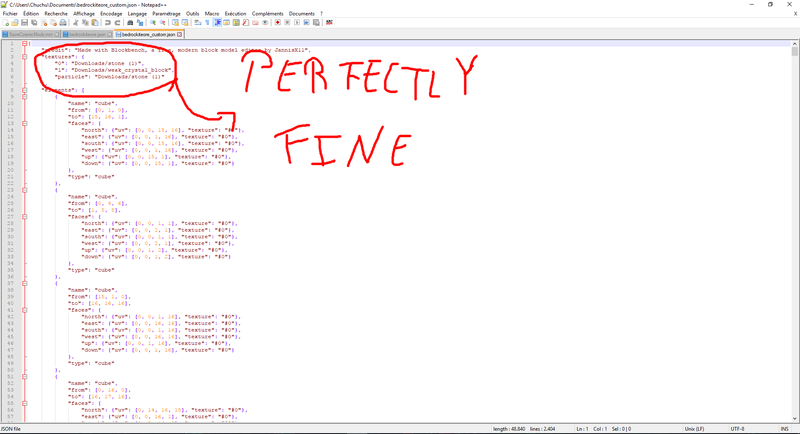 For textures,put b first and then c.
I have managed to reproduce the issue. I will try to fix this in 1.7.9. Thank you for the bug report and for the provided example! I have managed to fix this issue. The bug fix will be released in 1.7.9.